Entries from Digital Intelligence tagged with "nokia"
Mobile World Congress has become one of the biggest tech events in the digital calendar, and this year was even bigger, with robots, AI and old school Nokia's stealing the show. 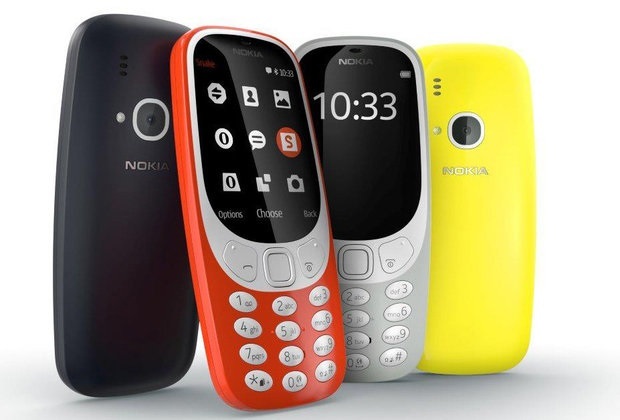 Nokia’s relaunch of its classic 3310 – the first mass-market mobile phone – has prompted a significant peak in consumer engagement with the brand, as half (50%) of consumers say they have read or heard about Nokia in the past week, according to a survey by Harris 24. Former mobile market leader Nokia has re-released its classic 3310 model at Mobile World Congress, 17 years after it was first launched. WhatsApp is dropping support for some older phones, including all BlackBerry models. The last Lumia: Microsoft planning ‘Surface Phone’? Microsoft is expected to launch its final Lumia smartphone next month at Mobile World Congress, in Barcelona, signalling the start of the long-rumoured Surface Phone. Nokia is selling its Here maps service to German car makers Audi, BMW, and Mercedes for $3 billion. The Nokia N1 has gone on sale in China, dubbed the "first Nokia-branded Android tablet," bypassing the restrictions imposed by its deal with Microsoft. Microsoft is phasing out the Nokia brand for its mobile products, instead calling its smartphones Microsoft Lumia. Microsoft has axed a further 2,100 jobs as the software giant looks continues its plan to cut 18,000 jobs, representing 14% of its workforce. Samsung to ditch Google Maps for Nokia? Nokia maps are soon to start appearing as default apps on Samsung’s Tizen smartphones, in a deal that would oust Google Maps. Microsoft has launched a £15 mobile phone, with no access to web services as the firm aims to kill off its low cost smartphone range to focus on its high end Windows Phone range. Microsoft has emailed its staff to confirm a reorganisation of its operations will result in thousands of roles being 14% of its staff are 'eliminated' from the workforce. Microsoft has revealed its first phone after completing its takeover of Nokia's handset division - and the €99 device is powered by Android rather than Windows. Nokia has named Rajeev Suri as its new chief executive officer, as the mobile maker completes its sale to Microsoft. Nokia to be renamed Microsoft Mobile? The Nokia brand could be obsolete by the end of this year, as Microsoft’s takeover of the iconic mobile maker nears completion. Nokia shareholders have approved the 5.44 billion euros (£4.5bn) sale of its mobile phone division to Microsoft, as both firms looks to regain lost ground to Google, Samsung and Apple in the mobile sector. Windows Phone now accounts for one in ten smartphone sales across the five major European markets and has seen strong growth in the UK, but Android still leads the way, according to new research. A consortium of tech firms including Microsoft, Apple, Blackberry, Ericsson, and Sony, have teamed up to file a lawsuit against Google and its Android smartphone makers, over the way it matches search terms with relevant advertising. The digital skills gap is back in the spotlight after a US study showed most marketers lacked knowledge and confidence - a massive gap that confirms new platforms and approaches are putting budgets at risk. Several big changes came from Google as they push brands towards paid search by removing some of the free insights. We can show you the workarounds, but marketing with organic search will take a bit more thinking time from now on. - Mobile: New iPhones, fingerprint ID, Android partners with Kit Kat, and former mobile kings Nokia and Blackberry get sold as the market restructures - big implications for mobile strategies for content and services. - Social: Pinterest and Instagram begin their first forays into paid ad space, and Twitter announced its long-awaited flotation plans after buying MoPub (we're expecting a mobile ad exchange announcement next). 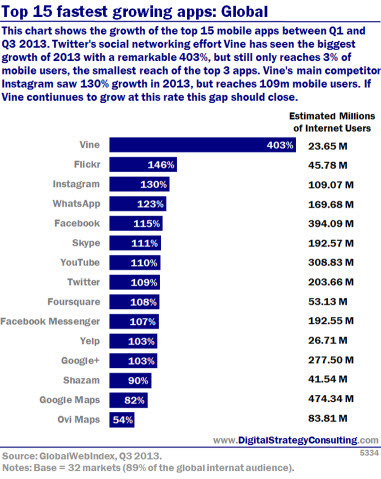 - Consumers: Think power is shifting to the giants? Then look at our story about one unhappy BA passenger who used 'Promoted Tweets' to complain about his service on a flight! 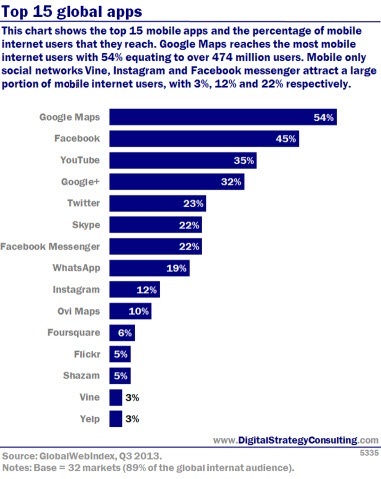 What does this mean for your marketing and digital strategies? What training do teams need to win in this space? Simply mail us back with your questions. Microsoft has bought Nokia's mobile phone business for 5.4bn euros (£4.6bn), giving the software giant a boost in its battle with Google, Samsung and Apple in the growing smartphone and tablet sector.